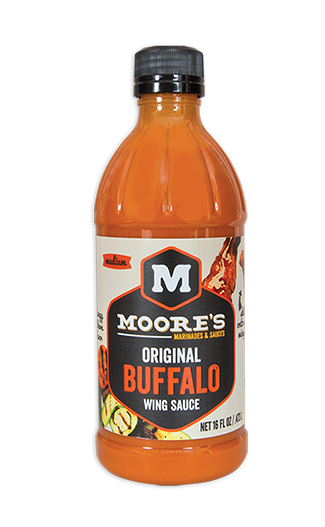 Moore's Original Marinade was introduced over thirty years ago at a steakhouse in the small Alabama town of Jasper. The original hickory marinade, with a delightfully flavorful taste, quickly became well known throughout Alabama and the South. All Moore's Marinade and Sauce products are made in America with the highest quality ingredients to enhance the flavor of any food you are preparing. In addition to the Original Hickory we have Moore’s Teriyaki Marinade, and three wing sauces, which each offers just the right amount of heat: our award winning Moore’s Buffalo Wing Sauce, Moore's Honey BBQ Wing Sauce and our Asian Teriyaki Wing Sauce. All of our marinades and sauces are Gluten free, Kosher and have no added MSG. Moore's Marinade has won television, radio, billboard and cook-off awards for being one of the most versatile marinades available. Today, Moore’s Marinade is found throughout our nation in grocery stores, mass retailers and restaurants. Moore’s provides So Much Moore Flavor for any cooking occasion! Moore's Marinade's are amazingly delicious! My family and I love wings so we're always on the lookout for a delicious full flavor marinade for wing nights. I'm happy to report that Moore's Marinade's fit that description perfectly. The flavor in each marinade is terrific. I love that Moore's Marinade offer so many varieties because in my house we all like different flavors but that just makes wing night more fun because we make several batches of wings all marinated in different marinades and share our favorites with each other. 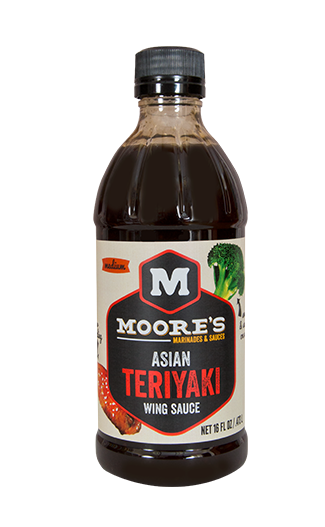 The marinade coats the wings well and I also love to use Moore's Marinade on other chicken and beef dishes. They give every dish a wonderful flavor. I highly recommend Moore's Marinade! Click HERE to find a store near you that sells Moore's Marinade! Click HERE to learn more about Moore's Marinade! 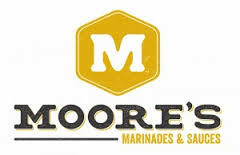 Follow Moore's Marinade on social media!